A viral pathogen that typically infects plants has been found in honeybees and could help explain their decline. Researchers working in the United States and Beijing, China reported their findings on January 21, 2014 in mBio, the online open-access journal of the American Society for Microbiology. The routine screening of bees for frequent and rare viruses "resulted in the serendipitous detection of Tobacco Ringspot Virus (image), or TRSV, and prompted an investigation into whether this plant-infecting virus could also cause systemic infection in the bees," says Dr. Yan Ping Chen from the U.S. Department of Agriculture's Agricultural Research Service (ARS) laboratory in Beltsville, Maryland, an author on the study. "The results of our study provide the first evidence that honeybees exposed to virus-contaminated pollen can also be infected and that the infection becomes widespread in their bodies," says lead author Dr. Ji Lian Li, from the Chinese Academy of Agricultural Science in Beijing. "We already know that honeybees, Apis melllifera, can transmit TRSV when they move from flower to flower, likely spreading the virus from one plant to another," Dr. Chen adds. Notably, about 5% of known plant viruses are pollen-transmitted and thus potential sources of host-jumping viruses. RNA viruses tend to be particularly dangerous because they lack the 3'-5' proofreading function which edits out errors in replicated genomes. As a result, viruses such as TRSV generate a flood of variant copies with differing infective properties. One consequence of such high replication rates are populations of RNA viruses thought to exist as "quasispecies," clouds of genetically related variants that appear to work together to determine the pathology of their hosts. When the temperature rises on Baffin Island, in the Canadian high Arctic, ancient Polytrichum mosses (image), trapped beneath the ice for thousands of years, are exposed. Using radiocarbon dating, new research in the November 16, 2013 issue of Geophysical Research Letters has calculated the age of relic moss samples that have been exposed by modern Arctic warming. 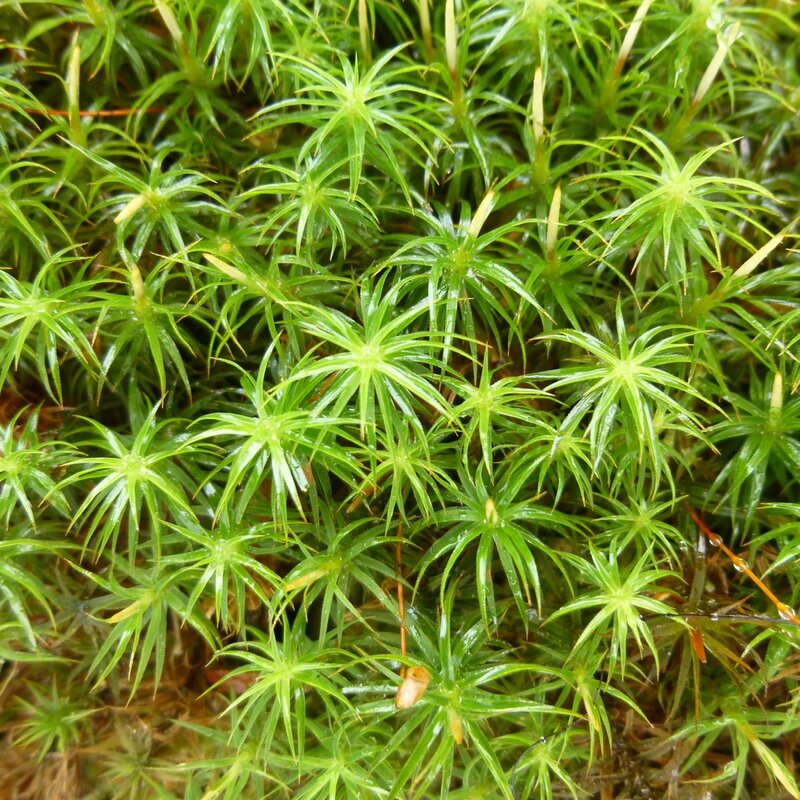 Because the moss samples would have been destroyed by erosion had they been previously exposed, the authors suggest that the temperatures in the Arctic now must be warmer than during any sustained period since the mosses were originally buried. The authors collected 365 samples of recently exposed biological material from 110 different locations, cutting a 1,000-kilometers-long transect across Baffin Island, with samples representing a range of altitudes. From their samples, the authors obtained 145 viable measurements through radiocarbon dating. They found that most of their samples date from the past 5,000 years, when a period of strong cooling overtook the Arctic. However, the authors also found even older samples that were buried from 24,000 to 44,000 years ago. The records suggest that, in general, the eastern Canadian Arctic is warmer now than in any century in the past 5,000 years, and in some places, modern temperatures are unprecedented in at least the past 44,000 years. The observations, the authors suggest, show that modern Arctic warming far exceeds the bounds of historical natural variability. “The great time these plants have been entombed in ice, and their current exposure, is the first direct evidence that present summer warmth in the Eastern Canadian Arctic now exceeds the peak warmth there in the Early Holocene era,” said Dr. Gifford Miller, from the University of Colorado. Zone in with Zon—Will Wooly Mammoths and Passenger Pigeons Return? Dr. Gerald Zon’s latest blog post, dated January 20, 2014, and published by TriLink BioTechnologies of San Diego, focuses on the issue of “De-Extinction: Hope or Hype?” In this thought-provoking post, Dr. Zon asks if the wooly mammoth can be revived and if the passenger pigeon might be returned to flight. He then suggests that “facilitated adaptation” might be a more realistic approach. Initially, Dr. Zon describes a CBS News interview with Dr. Hendrik Poinar on the possibility of reestablishing wooly mammoths. Dr. Poinar specializes in the novel techniques to extract and analyze “molecular information (DNA and/or protein sequences)” from ancient samples and has already sequenced the mitochondrial genome of the long-extinct wooly mammoth. Dr. Poinar believes that it might indeed be possible to bring these extinct creatures back to life in 30 to 50 years time. When asked to describe how this would be done, he said, “First thing you have to do is to get the entire blueprint. We have mapped the genome of the woolly mammoth. We’re almost completely done with that as well as a couple other extinct animals. We can look at the discrete differences between a mammoth and an Asian elephant. We would take an Asian elephant chromosome and modify it with mammoth information. Technology at Harvard can actually do that. Take the modified chromosomes and put them into an Asian elephant egg. Inseminate that egg and put that into an Asian elephant and take it to term. It could be as soon as 20 years.” Dr. Zon next described the work of a determined young ecologist with no graduate degree, Ben Novak, who has devoted all his recent efforts to resurrecting the exinct passenger pigeon. This was once the United States’ most numerous bird at approximately 5 billion strong, according to Audubon, but died out completely by 1914.